From December 29, 2014 to January 6, 2015, the 90th Hastings Chess Congress was held at the Horntye Park Sports Complex in Hastings, England. GM Zhao Jun (2595) of China won with 8/9. On the January 2015 FIDE rating list, the top players were Carlsen (2862), Caruana (2820), Grischuk (2810), Topalov (2800), Anand (2797), Aronian (2797), Giri (2784), Kramnik (2783), Nakamura (2776), and So (2762). On January 6, 2015, an episode (Season 4, Episode 11) called "If-Then-Else" from Person of Interest was aired. There is a chess game scene with Mr. Finch playing chess. Finch says this of chess, "It's a useful mental exercise. Through the years, many thinkers have been fascinated by it. But I don't enjoy playing... Because it was a game that was born during a brutal age when life counted for little. Everyone believed that some people were worth more than others. Kings. Pawns. I don't think that anyone is worth more than anyone else... Chess is just a game. Real people are not pieces. You can't assign more value to some of them and not others. Not to me. Not to anyone. People are not a thing that you can sacrifice. The lesson is, if anyone who looks on to the world as if it is a game of chess, deserves to lose. " From January 10-25, 2015, the 77th Tata Steel (formerly Wijk aan Zee) Tournament was held at the De Moriaan building in Wijk aan Zee, The Netherlands. Magnus Carlsen (2862) won the event, scoring 9 out of 13. This was Carlsen's 4th victory in the Wijk aan Zee top group. On January 10, 2015, Slobodan Martinovic (1945-2015) died at the age of 70. He was a Serbian Grandmaster (1978). His peak rating was 2480 in 2008. On January 23, 2015, Alexander Lastin (1976-2015) died. He was a Russian Grandmaster (1997). In 2001, he tied for 1st in the Russian Chess Championship. In 2002, he won the Russian Championship. His peak rating was 2659 in 2010. From January 27 to February 5, 2015, the 2015 Tradewise Gibraltar Chess Festival was held at the Caleta Hotel, Gibraltar. It was won by Hikaru Nakamura (2776), scoring 8.5 out of 10. David Howell (2670) took 2nd place. Nakamura won the same event in 2008. There were 257 players in the festival. On January 28, 2015, Erich Spielman, age 92, was struck by a car driven by another 92-year-old in England and died. He was a chess player (winner of several club championships in Loughton) and the nephew of the famous chess player Rudolf Spielmann. From February 2-9, 2015, the 3rd GRENKE Chess Classic was held in Baden-Baden, Germany. Magnus Carlsen (2865) won the event after winning a final decisive tie-break game against Arkadij Naiditsch (2706). On February 6, 2015, GM (2000) Oleg Leonidovich Chernikov (1936-2015) died in Russia at the age of 78. In 1990, he won the Russian Championship. In 2000, he won the World Senior Chess Championship and became a grandmaster at the age of 63. His peak rating was 2472 in 2001. On February 7, 2015, International Master Ricardo De Guzman won the 15th annual Henry Gross Memorial in San Francisco, scoring 4.5 out of 5. On February 14, 2015, an episode (Season 4, Episode 13) called "Chess Champion, Operation Dream, Special Gymnasts," appeared on the TV series Live Life and Win! From February 15-27, 2015, the Tbilisi FIDE Grand Prix was held. The event was dominated by Evgeny Tomashevsky (2716) scoring 8/11, a point and a half clear of Dmitry Jakovenko (2733). From March 16 to April 7, 2015, the FIDE Women�s World Championship was held in Sochi, Russia. Ukrainian GM Mariya Muzychuk (2526) beat Natalija Pogonina in the final to become women's world champion. Hou Yifan declined to defend her title in 2015 due to a prior chess tournament commitment to play an event in Hawaii. She won it back in 2016. From March 26 to April 6, 2015, the Aeroflot Open was held in Moscow. Ian Nepomniachtchi (2714) won the Open section, scoring 7 out of 9. On March 31, 2015, STL TV Live in St. Louis, Missouri featured a segment on the World Chess Hall of Fame in St. Louis. 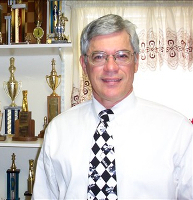 Shannon Bailey, director of the World Chess Hall of Fame, was interviewed. For 2015, FIDE nominated and selected Olga Rubtsova, Lyudmila Rudenko, and Carl Schlechter for the World Chess Hall of Fame. They join 21 other players who have received the honor since the Hall of Fame�s creation in 2001. The USCF Committee selected Alexander Shabalov to join the 54 other players currently in the U.S. Hall of Fame. From April 3-5, 2015, the Larry Evans Memorial was held in Reno Nevada. The top section was won by Alexander Ivanov, scoring 5-1. From April 6-14, 2015, the 17th annual Dubai Open was held at the Dubai Chess & Culture Club in the United Arab Emirates. Dragon Solak (2602) won on tiebreaks. During the tournament, Georgian GM Gaioz Nigalidze (1989- ) was banned from the Dubai Open for using an electronic device. The device was hidden in one of the bathroom cubicles of the Dubai Chess and Culture Club during his sixth-round game with Armenia's Tigran Petrosian. He was subsequently banned for 3 years (until September 2018) and his grandmaster title was revoked. Nigalidze was Georgian chess champion in 2013 and 2014. On April 7, 2015, Daniel Litowsky (1917-2015) died at the age of 97 in San Francisco. In 2011, he played over 50 USCF-rated games at the age of 94, which might be a record. He was one of the oldest highly-rated active members of the USCF, playing chess in tournaments at age 95. From April 10-12, 2015, the National High School Championship was held in Columbus, Ohio. It was won by IM Akshat Chandra (2580) of New Jersey, scoring 6.5 out of 7. On April 12, 2015, Craig Woolcock (1972-2015), age 42, of Wales killed himself after he quit his job as a customer services official to concentrate on chess, but lost his final game and failed to qualify for the British chess championship. He suffered from mood swings. From April 18-29, 2015, the 10th World Teams Chess Championship was held in Tsaghkadzor, Armenia. China won the World Team Chess Championship, followed by Ukraine and Armenia. Russia took 4th place and the USA took 5th place. On May 14, 2015, chess master Lourenco Joao Cordioli (1916-2015) of Brazil died at the age of 98, and was still active in chess at age 98. He played chess for over 85 years. He won the championship of Sao Paulo three times, from 1947 to 1949. He was a wealthy lawyer. From May 14-26, 2015, the 2015 FIDE Grand Prix took place in Khanty-Mansiysk, Russia. Dmitry Jakovenko (2738) edged out Hikaru Nakamura (2799) and Fabiano Caruana (2803) on tie-break after all finished on 6.5/11. From May 14, 2015 to October 18, 2015, a Jon Crumiller Chess Collection exhibition was held at the World Chess Hall of Fame in St. Louis. Antique ivory chess sets and boards were on display. From May 18-29, 2015, the Chinese Individual Chess Championship for men was held in Jiangsu Xinghua. It was won by We Yi (1999- ), who became the youngest Chinese chess champion in history at the age of 15. On May 21, 2015, Joaquim Manuel Durao (1930-2015) died. He was a Portuguese International Master (1975). He has won the Portuguese championship 13 times. He played for Portugal in 10 Chess Olympiads. He served as Vice President of FIDE and president of the Portuguese Chess Federation. On May 23, 2015, John Forbes Nash (1928-2015) and his wife, Alicia, were killed in a car crash while riding in a taxi on the New Jersey Turnpike. Just before his death, Nash traveled to Europe and met Magnus Carlsen in Norway. In 1994, he shared the Nobel Prize in Economics for his work in game theory, where he called chess a "zero-sum" game. He played chess in his younger years. On May 25, 2015, Neil L. Carr (1968-2015) died of a heart attack in Jersey at the age of 47. He was the youngest player to beat a grandmaster in a clock simultaneous exhibition. In 1978 at the age of 10 he beat a grandmaster. He won the World under-14 championship. He was a FIDE Master. From May 29-31, the Boris Siff Senior Championship (open to players 55 and over) was held in Berkeley, California. Walter Browne and Elliott Winslow tied for 1st place. In June 2015, Italian amateur Arcangelo Ricciardi (1978- ) was banned from the 57th Imperia Chess Festival in Italy for allegedly receiving moves transmitted to him in Morse code by an accomplice. He had a small camera to transmit the moves of each game he played and a device for receiving coded messages. On June 10, 2015, chess master Alan Benson (1947-2015) of Berkeley, California died. He was 67 years old. On June 13, 2015, Wesley So won the Czech Chess Trophy in a four-game match with GM David Navara. From June 16-25, 2015, the 3rd Norway Chess tournament was held in Stavanger, Norway. It was won by Bulgarian GM Veselin Topalov (2798), scoring 6.5 out of 9. Viswanathan Anand (2804) took 2nd place. Hikaru Nakamura (2802) took 3rd place. World champion Magnus Carlsen lost in the first round of a Norway chess tournament because he did not know the time control. From June 19-21, 2015, the 50th National Open Chess Championship was held at the Westgate Resort and Casino in Las Vegas. Aleksey Dreev, Gata Kamsky, Illia Nyzhnyk and Axel Bachmann all scored 5/6. From June 22-24, 2015, Magne Sagafos and Joachim Berg-Jensen (both from Norway) played chess for 40 hours and 42 minutes in Stavanger, Norway. On June 23, 2015, Kim Steven Commons (1951-2015) died of a stroke. He was an International Master (1976) who had won the California championship once and the American Open twice. He was a member of the victorious USA team at the Haifa Chess Olympiad in 1976, having the best score of the event. He had a Bachelor's degree in physics from UCLA. He gave up chess to become a real estate agent. On June 24, 2015, Grandmaster Walter Browne (1949-2015) died in his sleep in Las Vegas. He was staying at the home of Ron Gross when he died. He had just finished playing in the 50th National Open where he tied for 9th-15th. He then played a 25-board simultaneous exhibition. He won the U.S. Chess Championship 6 times (1974, 1975, 1977, 1980, 1981, and 1983). He was 66. From June 26 to July 5, 2015, the 43rd Dortmund Sparkassen Chess-Meeting took place in Dortmund, Germany. It was won by Fabiano Caruana (2805), scoring 5.5 out of 7. On June 28, 2015, Season 1, Episode 3 of the TV series JonTron's Starcade (2015- ), called "Star Wars Chess," aired. Jon Jafari reviewed the "Star Wars Chess" game with Chewbacca. From June 29 to July 3, 2015, the 21st World Computer Chess Championship was held at Leiden University in Leiden, Netherlands. It was won by Jonny, scoring 7 out of 8 (6 wins, 2 draws, and no losses). There were 9 participants: Jonny, Komodo (2nd place), HIARCS (3rd place) , Protector, Shredder, Ginkgo, The Baron, Maverick, and Fridolin. From June 30 to July 5, 2015, the 43rd annual World Open was held at the Hyatt Regency Crystal City Hotel in Arlington, Virginia. It was won by GM Aleksandr Lenderman after an 8-way tiebreak with Rauf Mamedov, Ilya Smirin, Alexander Ipatov, Ehsan Ghaem, Illia Nyzhnyk, Romain Edouard, and Axel Bachmann. All scored 7 out of 9. On July 1-3, 2015, the 14th Advances in Computer Games (ACG) conference was held at Leiden University. On July 5, 2015, Shredder won the 4th World Chess Software Championship (WCSC), held at Leiden University.� The other participants were Ginkgo, Komodo, Protector, HIARCS, Jonny, Maverick, and Fridolin. participants. The hardware was an Intel quad core i7 processor. Shredder and Ginkgo tied for 1st, but Shredder on the blitz play-off. From July 5-11, 2015, the 26th NATO Chess Championship was held at the Royal Netherlands Marine Barracks in Amsterdam. Germany won the team championship, followed by Poland and Denmark. The individual championship was won by Aleksandr Volodin of Estonia. There were 108 players from 18 countries, making this championship with the largest number of players in its history. From July 6-15, 2015, the U.S. Junior Championship was held in Saint Louis. Akshat Chandra (2495) won with 6/9. Jeffery Xiong (2523) took 2nd place. On July 11, 2015, Herbert Siegfried Oskar Ahues (1922-2015) died. was the son of International Master Carl Ahues (1883-1968). Herbert was a German chess composer and chess author. At the beginning of World War II, he studied jurisprudence in Konigsberg. He was then drafted into the Wehrmacht at the age of 19. After the war, he became a teacher in Bremen. In 1962, he was appointed International Judge of Chess Composition. In 1989 he became a Grandmaster for Chess Compositions. He composed over 4,000 problems. From July 15-19, 2015, the 8th New York International was held. It was won by Gata Kamsky, who score 7 out of 9. From July 20-30, 2015, the 48th Biel Chess Festival was held. The main GM group was won by Maxime Vachier-Lagrave (2731), who score 6.5 out of 10. From July 26 to August 8, 2015, the 102nd British Chess Championships took place in Coventry. It was won by Jonathan Hawkins (2554), scoring 8.5 out of 11. On July 31, 2015, Timur Gareyev gave a blindfold simul with Marc Lang from Germany to set a new world record in �Tandem Blindfold Chess.� They played 7 games simultaneously, moving alternately without consultation, winning 5 games and drawing 2. From August 1-9, 2015, the 116th U.S. Open was held in Phoenix, Arizona. It was won by Alexander Shabalov (2600), scoring 8.5 out of 9. From August 9-20, 2015, the 68th Russian Chess championship Superfinal was held in Chita, Russia. Evgeny Tomashevsky (2747) won the event with 7.5/11 half a point clear of Sergey Karjakin (2753). 16-year-old Aleksandra Goryachkina (2474) won the women's event with 8/11. From August 13-16, the 45th annual Continental Open was held in Sturbridge, Massachusetts. Gata Kamsky (2753) took first place on tie-break from Sergey Kudrin (2586) after both scored 5/6. From August 22 to September 3, 2015, the 3rd Sinquefield Cup was held at the Chess Club and Scholastic Center in St. Louis, Missouri. It was won by Armenian GM Levon Aronian (2765). This was the second leg of the 2015 Grand Chess Tour (GCT). The tournament featured the seven top players in the world, with an average FIDE rating of 2795. In the September 2015 issue of Chess Life, Frank Brady wrote "The Marshall Chess Club Turns 100." On September 2, 2015, Maximillian Lu (2005- ) became the youngest U.S. chess master at the age of 9 years and 11 months. A year later, the record was broken by Christopeher Yoo. From September 2-15, 2015, the World Junior Championship took place in Khanty-Mansiysk, Russia. Mikhail Antipov (2538), born in 1997, of Russia took the title on tiebreaks over Jan-Krzysztof Duda (2645) of Poland. Both scored 10 out of 13. Nataliya Buksa (2199), born in 1995, of Ukraine won the Girls� World Junior Chess Championship, scoring 10 out of 13. From September 4-7, 2015, the 137th annual New York State Chess Championship was held in Colonie, NY. This year's winner with 5 out of 6 points was IM Aleksandr Ostovskiy (2473), who previously won the state title in 2010 when he was just 14 years old. First played in 1878, the New York State Chess Championship is the oldest continuously run annual tournament in the world. From September 11 to October 5, 2015, the World Cup 2015 was held in Baku, Azerbaijan. It was a 128-player single-elimination chess tournament. It was won by Sergey Karjakin (2762) on tiebreaks after a 4-game final against Peter Svidler (2727). Karjakin won with 6 wins and 4 losses, no draws. On September 16, 2015, the American biographical film "Pawn Sacrifice" was released, starring Tobey Maguire as Bobby Fischer, Liev Schreiber as Boris Spassky, Lily Rabe as Joan Fischer, and Peter Sarsgaard as William Lombardy. Lombardy (1937-2017) did not like the way he was portrayed and questioned much of the accuracy of the movie. For example, the movie shows Lombardy first meeting and becoming involved with Fischer way later than when he first met Fischer in 1954. On October 6, 2015, an episode (Season 3, Episode 6) called "Bobby Fischer, King of the Chess People" on Drunk History aired on Comedy Central. It was a spoof of Fischer playing Boris Spassky. From October 8-12, 2015, the 2nd Millionaire Chess tournament took place in Las Vegas. Hikaru Nakamura (2816) took the $100,000 first prize by beating Quang Liem Le in the final. From October 9-15, 2015, the World Rapid and Blitz Championship took place in Berlin. World Champion Magnus Carlsen retained his rapid title ahead of Ian Nepomniachtchi and Teimour Radjabov. Carlsen scored 11.5 out of 15. Alexander Grischuk won the blitz title ahead of Maxime Vachier-Lagrave and Vladimir Kramnik. Grischuk scored 15.5 out of 21. On October 10, 2015, the USCF declared that day as National Chess Day. From October 10-12, 2015, the 56th US Armed Forces Chess Open was held at Ft. Belvoir, Virginia. The winner was Petty Officer First Class (retired) Larry R. Larkins (2045). He won the tournament clear first three times (2007, 2010 & 2015) and won first on tiebreaks 2008. The Air Force won the team championship. On October 13, 2015, James Vernon, a 75-year-old public library chess club teacher was injured saving children from a knife attack. He acted as a human shield against a public library attacker with two hunting knives. The attacker, Dustin Brown, barged into the classroom where Vernon was teaching chess claiming he was there to kill somebody. The children escaped and Vernon suffered several knife wounds. The attack occurred at the public library in Morton, Illinois. On October 17, 2015, International Master Emory A. Tate, Jr. (1958-2015) died after collapsing suddenly during a tournament near San Jose, California. He was 56. He was a 5-time Armed Forces Champion while serving in the US Air Force. His peak FIDE rating was 2413 in 2006. His peak USCF rating as 2499 in 1997. On October 23, 2015, Krunoslav Hulak (1951-2015) died. He was a Croatian Grandmaster (1976). He won the Yugoslav Championship in 1976. He won the Croatian Championship in 2005. His peak rating was 2570 in 2002. From October 25 to November 5, 2015, the World Youth Chess Championship was held at Porto Carras Resort in Greece. Masoud Mosadeghpour (2420) of Iran won the Boys Under-18 title, scoring 9.5 out of 11. On October 26, 2015, Wesley So won the 8th Bilbao Chess Masters final on tiebreaks over GM Anish Giri. On October 31, 2015, Dr. Isaak M. Linder (1920-2015) died. He was a renowned Russian chess historian and author. In 1992, he wrote "Chess in Old Russia." In 2001, he co-wrote with his son a 972-page book called, "Kings of the Chess World." Linder wrote over 400 publications on native and foreign chess culture. On October 31, 2015, an episode (Season 5, Episode 6) called "Animal Activist, Chess Champion, Tennis Lessons," appeared on the TV series Live Life and Win! From November 9-22, 2015, the World Seniors championship took place in Acqui Terme, Italy. Predrag Nikolic (2603) of Bosnia won the over-50s Seniors. He scored 9.5 out of 11. Eduardas Rozentalis of Lithuania took 2nd place. On November 18, 2015, James Derrick Slater (1929-2015) died. He was a British chess patron who added 50,000 British pounds ($125,000) to the 1972 world championship prize fund between Fischer and Spassky. He founded the Slater Foundation in 1973, which pays for coaching of young players. He offered 5000 pounds (worth $167,000 today) to the first English player to gain the GM title, which was won by Tony Miles. On November 21-28, 2015, Timur Gareyev (2584) won the 9th Festival International de Xadrez Figueira Da Foz in Portugal, scoring 8.5 out of 9. On November 25, 2015, at the age of 12 years, 7 months, and 6 days, Awonder Liang became the youngest American to become an International Master. From November 26-29, 2015, the 51st American Open was held in Orange, California. Varuzhan Akobian (2704) and Dionisio Aldama (2517) tied for 1st with 6.5 out of 8. For the 5th consecutive year, the tournament was run by Alfredo Ong of Chess Palace. From November 27-29, 2015, the 46th annual National Chess Congress was held in Philadelphia. Kaiqi Yang, Andrey Gorovets and Magesh Panchanathan all scored 5/6 to tie for 1st. Yang won on tiebreaks. In December 2015, Mark Taimanov (1926-2016), age 89, played a 4-game match in Zurich against Viktor Korchnoi (1931-2016), then 84. At 173 years, it was the oldest combined total for a match between two grandmasters. On December 1, 2015, the Manhattan Applesauce beat the St. Louis Arch Bishops in the final of the U.S. Chess League. From December 4-13, 2015, the 7th London Chess Classic was held in London. Magnus Carlsen, Anish Giri, and Maxime Vachier-Lagrave all tied for 1st, with Carlsen winning it on tiebreaks. Carlsen also won the 2015 Grand Chess Tour. On December 10, 2015, Harold Dondis (1922-2015), a founder of the US Chess Trust, Boston Globe columnist and recipient of the US Chess Distinguished Service Award, died at the age of 93. He was a writer for the Boston Globe's chess column for over 40 years, first appearing in 1964. On March 2, 1964, he defeated Bobby Fischer is a simultaneous exhibition. He was considered the Dean of New England Chess Journalists. He was a former president of the Massachusetts State Chess Association (MSCA). In 1967, he co-founded the U.S. Chess Trust with Ed Edmondson. He was a lawyer, graduating from Harvard Law. From December 19-30, 2015, the Qatar Masters Open was held in Qatar. It was won by Magnus Carlsen on tiebreaks over Yu Yangyi of china. Both scored 7 out of 9. This was the first appearance of a reigning world chess champion in a Swiss Open since Boris Spassky in Vancouver 1971. On December 25, 2015, Israeli GM Leonid Gofshtein (1953-2015) died at the age of 62. In 1990 he emigrated from the Ukraine to Israel. From December 26-30, 2015, the 25th annual North American Open was held at Bally�s Casino Resort in Las Vegas, Nevada. It was won Alexey Dreev on tiebreaks over Gata Kamsky and Eylon Nakar.